These sushi cake pops by Sugar Parlour combine two of my favorite things: cake and sushi. 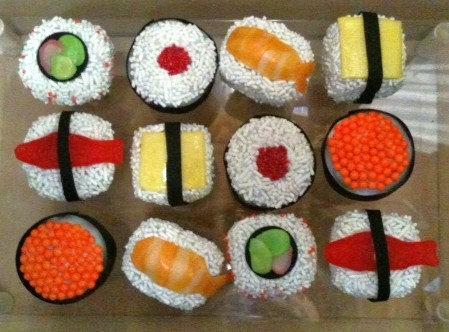 A dozen of these sweet treats contains six different varieties of "sushi," all coated in chocolate and frosting. 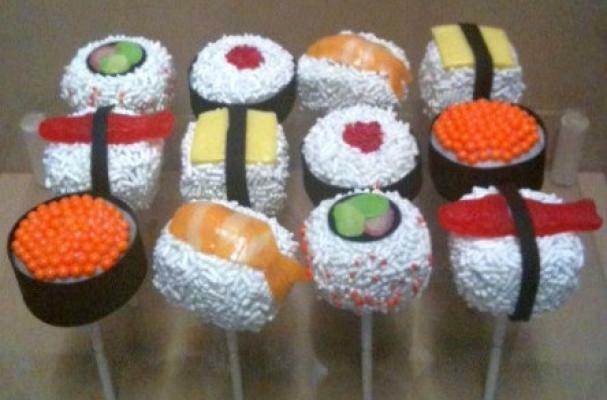 Check out an overhead view of the sushi cake pops below. For even more creative designs, check out our slideshow of mind-blowing cake pops.